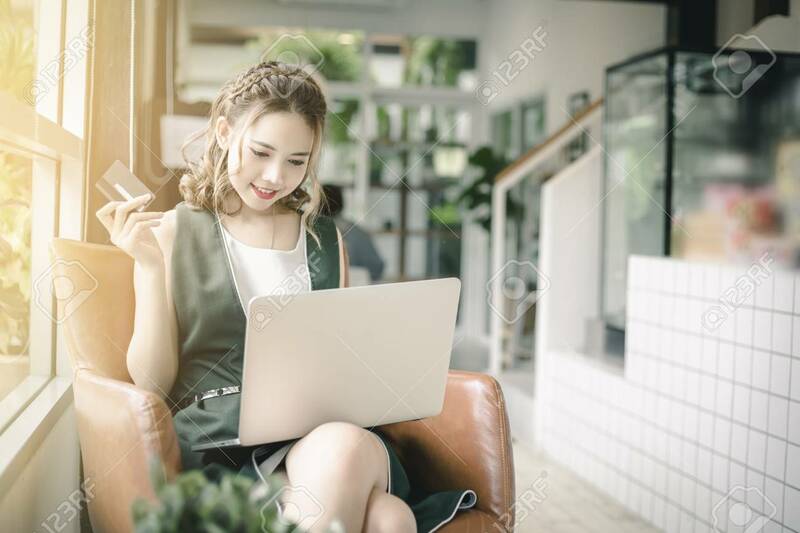 Beautiful Asian Woman Holding Credit Card And Working On Laptop Or Notebook Computer. Online Shopping Concept. Royalty Free Fotografie A Reklamní Fotografie. Image 107323980. Reklamní fotografie - Beautiful Asian woman holding credit card and working on laptop or notebook computer. Online shopping concept. Beautiful Asian woman holding credit card and working on laptop or notebook computer. Online shopping concept.